Children who eat three or more burgers a week may be at a higher risk of asthma and wheezing, but a healthy diet rich in fruit and fish seems to stave off the risk, according to a large international study. Researchers from Germany, Spain and Britain who studied data on 50,000 children across the world found the link between burgers and asthma was strongest in rich nations where diets with high levels of junk food are more common. A meat-heavy diet itself has no bearing on the prevalence of asthma, according to the scientists who conducted the study. 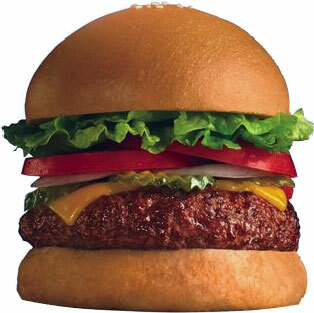 Yet, frequent burger eating could be a signal for other lifestyle factors which raise asthma risk. “This is a sign that the link is not strongly related to the food itself, but that burgers are a proxy for other lifestyle and environmental factors like obesity and lack of exercise,” said Gabriele Nagel of the Institute of Epidemiology at Ulm University, Germany, who led the study. She added, however, that there were “biologically plausible” links for the positive effects of a healthier diet, which could be down to the antioxidants found in fruit and vegetables, and the omega 3 polyunsaturated fatty acids in fish, which have anti-inflammatory properties. “Fruit and vegetables contain antioxidants and other biologically active factors which may contribute to the favourable effect…in asthma,” Nagel said. In particular, she added, foods rich in vitamin C have been linked to better lung function and fewer asthma symptoms. Around 1.1 million children currently receive treatment for asthma in Britain, while in the United States it is the most common chronic childhood disease, with around 10 million children diagnosed with it. Nagel’s team looked at data on 50,000 children aged between 8 and 12 years from 20 rich and poor countries around the world. While diet was not linked to children being more prone to allergies in general, it did seem to influence the prevalence of asthma and wheezing, they found. “Overall, more frequent consumption of fruit, vegetables and fish was associated with a lower lifetime prevalence of asthma, whereas high burger consumption was associated with higher lifetime asthma prevalence,” they wrote in the study, which was published in Thorax, a British Medical Journal title. This study adds to an existing body of evidence showing the health benefits of a so-called Mediterranean diet - rich in fruit, vegetables, whole grains, nuts and fish - including reduced risks of heart disease, diabetes, cancer and depression. SOURCE: Thorax, online June 3, 2010.